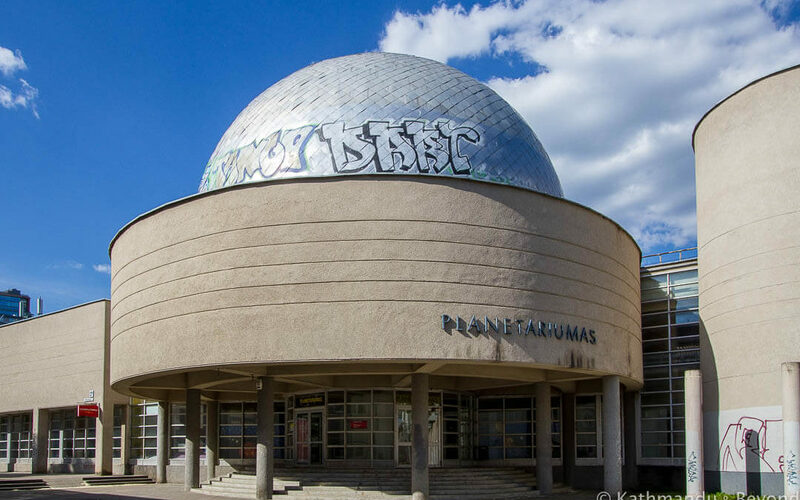 Planetarium of Vilnius University in Lithuania. Completed in 1989 by architect Robert Stasėnas. Modernist, Soviet architecture in former USSR. S. Nėris High School Sports-Training Complex in Vilnius, Lithuania. Formerly Vilnius Salomėja Nėris Gymnasium. Soviet architecture in the former USSR. 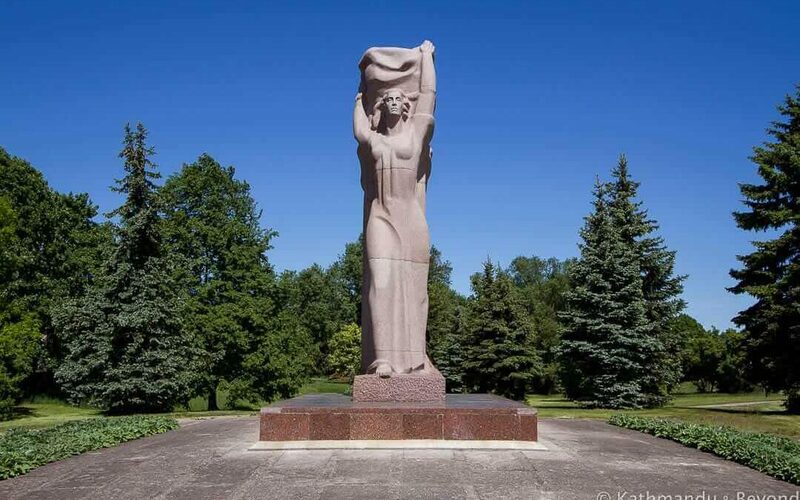 Freedom Monument in Panevezys, Lithuania, Baltic States. Statue of a woman completed in 1974. Soviet monument in the former USSR. 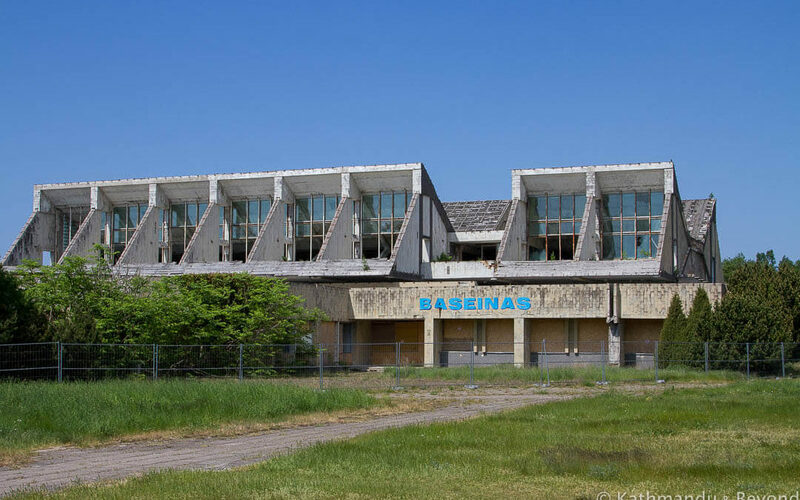 Former Linas (Lino) Swimming Pool in Palanga, Lithuania. Completed in 1984. Brutalist style, Soviet architecture in the former USSR.